following is an extract from My Plastic – Free Life. go here for full original article. Right now, the only completely compostable toothbrush has a handle made from sustainably harvested wood and bristles made from pig hair. (Here’s an example.) The pig hair is a by-product of the Chinese meat industry. It would normally have been thrown away. If you eat meat, perhaps this toothbrush would be the right decision for you. I personally have chosen not to use it because the only meat I eat comes from humanely raised animals from local farms in Sonoma or Marin Counties. Since I don’t know how the Chinese pigs are treated, I don’t feel comfortable using their bristles for a toothbrush. Perhaps one of the local pig farms out here could team up with a toothbrush manufacturer to develop a toothbrush I’d be more likely to trust. Several toothbrush manufacturers claim that their bristles are made from Nylon-4, a petroleum-based plastic that has been shown in lab studies to biodegrade in the environment under certain conditions. However, lab studies and real life are not the same things, and none of these manufacturers has provided any third-party proof that their toothbrush bristles actually will biodegrade, especially not in the cold waters of the ocean. Furthermore, it is questionable whether all of them really contain Nylon-4 in the first place. Coming Soon BUY the STICK! WHAT ARE THE BENEFITS OF USING A STICK? WHY KEEP THE STICK on a PEG and NOT IN AN AIRTIGHT CONTAINER? • where the hell is my stick? where did i leave it. have you seen my toothstick? • teeth cleaning is meant to be done when you are resting or relaxing or even laying down on the bed or floor. it is a pleasurable relaxing pastime. teeth cleaning is not meant to be done standing up, on the run or when you are in a locked room with people bashing on the door telling you to “hurry up! i want to use the bathroom”! although designers are doing the very best they can, there is still not a fully degradable bristle apart from the boar-bristle. if there are, can you tell us about it in the comments below? the brush we all know and love and buy by-the-box to give as gifts to our less enviro-aware family members . . . . .
the honest designer & manufacter (manufactured in china under contract), a dentist from brisbane of “The Environmental Toothbrush” was horrified when he was informed that their bristles were not made from nylon 4 and he let his buyers know that he had been misled. following is the amended text on his website . . . . The bristles are made from a BPA FREE polymer resistant to microbial growth during normal use, to ensure safety and durability. We have tried to find a biodegradable bristle but as of this time there is nothing available – apart from boars hair (don’t want to go there). No they are not Nylon 4 (as far as we know there are no bristles made from Nylon 4 on the market today). We have tried to bring you a toothbrush that is better for the environment- over the years we have been misled by our manufactures about our bristles being made of Nylon 4. We still believe that our toothbrush is a better alternative to a full Plastic toothbrush. 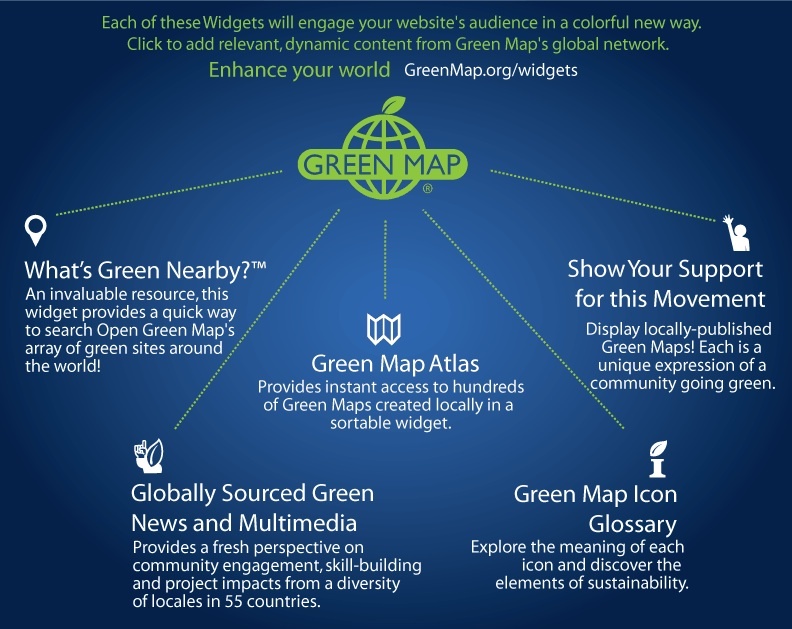 from bogobrush website . . .
What kind of bristles are in a Bogobrush? Are they soft? Bogobrushes use the highest quality Tynex Nylon bristles from Dupont. They are a “soft” bristle, and are polished with ceramic by our bristling manufacturer for an extra smooth feel. How long will it take to break down, (i.e. degrade)? It depends. Maybe a few months, maybe a few years. With any compostable material, the time of degradation depends on the health of the compost pile – humidity, temperature, and bio-diversity, (bugs, microbes, plants, etc. – as well as the size and surface area of the product). What will it degrade into? Bogobrush bio-composite handles will degrade into carbon dioxide, water, and humus, (a soil nutrient). Thank you for reaching out to us. This is a great question. Several years ago, we learned from our U.S. manufacturing partners that Nylon 4 was not actually a viable bristle option, despite what Chinese manufacturing told us. This was before we started actual production, so we pulled all language of the sort from our marketing materials. There is likely some lingering information out on the internet from our pre-order launch in 2012, but we certainly no longer claim that material for our brush. While we wish there were other bristle options, we feel good about our decision to provide high quality bristles to our customers. Some day, we hope demand for eco-bristles will help spur viable options. You can go to our website shop page and scroll to FAQ section to learn more about our bristles and how we recommend composting our biodegradable brush. Please let us know if you have further questions. We will be happy to help! Designed in conjunction with dental advice. Easy-grip ergonomic bamboo biodegradable handle has natural flexibility, absorbing brushing pressure and reducing gum irritation. Zig zag bristles with rounded tips for gentle cleaning in-between teeth and along the delicate gum line. 30mm tapered head is smaller than regular over-sized toothbrush heads for easy access to those hard-to-reach places. Heat treatment carbonizes the bamboo surface for water resistance and prevention of microbe growth (bacteria and moulds) during normal use. Attractive, individual packaging made from recycled card makes the toothbrushes a great gift or Christmas stocking stuffer. i have not yet found an alternative for TOOTH brushes. 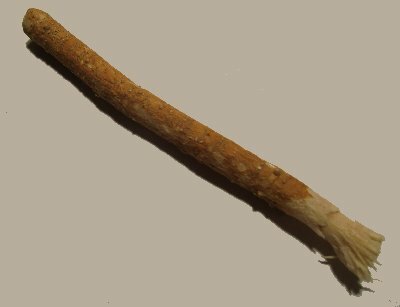 apart from not using a TOOTHBRUSH ever again instead i used my newly discovered ECO VEGAN toothstick. i have used boar-bristle hairbrushes all my life. i have used boar-bristle toothbrushes for about 29 years. as a animal friender, for the last 3 years, i have been searching for evidence of humanely-harvested boar bristle. now that i am of the mind that even humanely-harvested hog bristle comes from animals who are still exploited because it is a commercial operation. if i had a pet pig, and i gave it a scratch and an occasional haircut, i know that my pig would feel happy to be of service to my need for brushes. i do not have a pet pig. i have at last found my alternatives – a stick for teeth and bamboo brush for hair. nylon bristles ALWAYS scratch teeth enamel, and damage the hair, no exceptions. TAMPICO/agave/cactus BRISTLE: Tampico looks really stiff and scratchy for the body, is it? The time Doug has spent in the wilderness gives him a unique perspective you don’t want to miss. Buy Doug’s DVD on ‘Alternatives to Dentists’ by clicking on the BUY NOW button below. I have been using Mosi-guard. I like it very much. Now to discover if it is THE repellent i have been looking for. WHAT am i looking for? Safe in every way and stronger than DEET! Australian Stockists – phone first, as this list is not up-to-date. Full details of Mosi-guard Natural’s ingredients. This is important to people looking for a naturally and sustainably sourced insect repellent which is also a DEET free alternative to synthetic insect repellents. Mosi-guard Natural® spray is an oil and water based solution. 30% Citriodiol® — The active ingredient comes from a botanical oil found in the leaves of the eucalyptus citriodora tree. This is responsible for the repellency of Mosi-guard Natural® products. The main component in Citriodiol is p-menthane-3,8-diol or PMD, making up at least 64% of the oil. Aqua — Water provides a liquid base for the product. Denatured ethanol and isopropyl alcohol — Forms of non-drinkable alcohol used as solvents to help blend the active ingredient (which is oily) into the product. Mosi-guard Natural® Spray Extra is a hydroalcoholic solution. The main difference in the ingredients of Spray and Spray Extra is that the Spray Extra contains 40% Citriodiol® compared to 30% Citriodiol in the Spray. 40% Citriodiol — The active ingredient comes from a botanical oil found in the leaves of the eucalyptus citriodora tree. This is responsible for the repellency of Mosi-guard Natural® products. The main component in Citriodiol is p-menthane-3,8-diol or PMD, making up at least 64% of the oil. Mosi-guard Natural® Roll-on is an emulsion. An emulsion is a mixture of two phases that will not mix together under normal circumstances, in this case oil and water. To prevent the two phases from separating we use stabilisers. Isohexadecane — A clear, odourless, apolar oil with 99% purity. It has a light velvety skin feel and functions as an emollient. It provides a moisturising effect by limiting water loss from the skin. Diisopropyl Adipate — This is the ester formed by combining isopropyl alcohol and adipic acid. Adipic acid is found in beet juice. It acts as a lubricant on the skin’s surface and give it a soft and smooth appearance. Steareth-21 — A waxy solid derived from fatty alcohols. It is prepared from vegetable oils by hydrogenation. It emulsifies and disperses the oily materials into the water to form a stable emulsion. PEG-8 Distearate and Steareth-2 — Waxy solids used as co-emulsifiers for oil-in water emulsions. They work in combination with steareth-21 to form a glossy white lotion. Cetearyl Alcohol — A waxy solid derived from fatty alcohol. It acts as an emulsion stabiliser and prevents separation of the oils and water. Disodium EDTA — EDTA acts as an antioxidant. Without EDTA colours and odours can break down. Sodium Lactate Aqua — A natural salt formed from fermentation of lactic acid and dissolved in water. It improves the stability of the product by creating an undesirable environment for bacteria. The other benefit of sodium lactate is its high capacity for holding water. This will increase the moisture content of the skin. C18-22 Hydroxyalkyl Hydroxypropyl Guar — A thickener and emulsion stabiliser that improves the feel and texture of the product by increasing its thickness. Hydrogenated Polydecene, Sodium Polyacryloyldimethyl Taurate and Trideceth-10 — These increase the thickness of the product and improve its feel and texture. Lactic Acid Aqua — Used to adjust the final pH of the product. 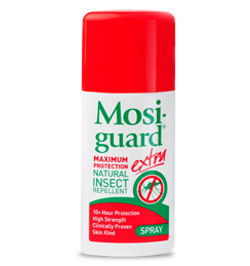 Mosi-guard Natural® stick is a solid insect repellent formula. 32% Citriodiol® — The active ingredient comes from a botanical oil found in the leaves of the eucalyptus citriodora tree. This is responsible for the repellency of Mosi-guard Natural® products. The main component in Citriodiol is p-menthane-3,8-diol or PMD, making up at least 64% of the oil. Butylene glycol — This solvent stops the active ingredient, Citriodiol, from crystallising. It also helps to keep the skin moist and prevents bacteria growth. Sodium Stearate — A white solid that is the main component in soap. It thickens the product into the solid stick and works to improve its texture and feel. Cetyl Alcohol — A waxy solid that thickens the product. 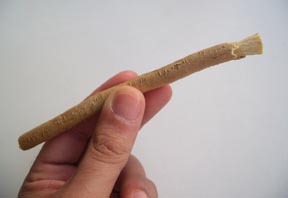 It acts an emollient and thickener to form the stick and prevents water loss from the stick. Some ingredients in Mosi-guard Natural® insect repellents sound very ‘chemically’ for products with a plant based active. Why is this? Are Mosi-guard Natural® insect repellents really naturally sourced? Why do Mosi-guard Natural® insect repellents contain alcohol? Can I use Mosi-guard Natural® if I am pregnant? Can I use Mosi-guard Natural abroad? Can I use Mosi-guard Natural on babies and young children? 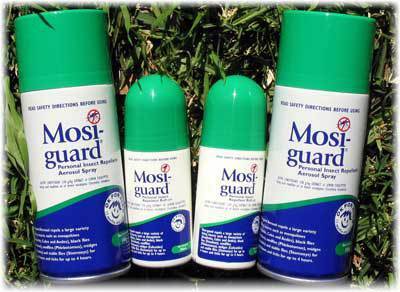 How long does Mosi-guard Natural last as an effective insect repellent? What can I do to avoid these insect bites? What diseases does each insect spread and where are they found? Are there any insects and insect bites to worry about in the UK? More than 35 studies have been conducted on products like Mosi-guard Natural® that contain the active ingredient Citriodiol (also known as PMD rich botanic oil and PMDRBO). Each of these reflect a level of efficacy that far exceeds that of any other plant-based repellent and is in fact on par with synthetic repellents like DEET. Unlike synthetic substances which may upset the balance of our ecosystem by adding chemicals that mother nature never had in her plan, the active substance in Mosi-guard Natural® (Citriodiol®, also known as PMD rich botanic oil and PMDRBO) is derived from the Eucalyptus Citriodora tree. Use of our plant based mosquito repellent will not upset the earth’s natural balance. 11. Some ingredients in Mosi-guard Natural® insect repellents sound very ‘chemically’ for products with a plant based active. Why is this? Mosi-guard Natural® products combine the best of Mother Nature and the most suitable modern day formulatory tools to bring you a range of insect repellent products that are truly efficacious, skin kind, long lasting and suitable for your whole family. 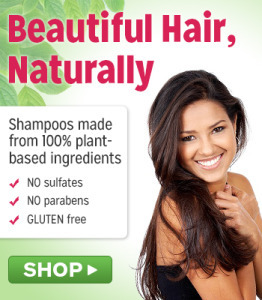 Here is more information about our ingredients. 12. Are Mosi-guard Natural® insect repellents really naturally sourced? Mosi-guard Natural’s® active ingredient comes directly from lemon eucalyptus citriodora oil. This essential oil is sustainably harvested from the leaves and twigs of the eucalyptus citriodora tree by a simple process of steam distillation. In nature, the main component of the oil is citronellal and as the oil ages, that citronellal gradually turns into p-menthane-3,8-diol (PMD). Some PMD is found in the “young” oil but only in small amounts. Because it is not possible to distill the oil when it is more mature and because the PMD is central to the oil efficacy in repelling biting insects, our suppliers harvest the oil from leaves that are about 18 months old. We then mimic nature by turning the rest of the citronellal into more PMD without adding anything extra to the finished product. This is how Mosi-guard Natural® insect repellents can come from a natural source but still work really well in repelling bugs. 13. Why do Mosi-guard Natural® insect repellents contain alcohol? All Mosi-guard Natural® products contain types of non-drinkable alcohol that are routinely used in cosmetic products and that are approved for use in consumer products. We can recommend them with confidence because each of our products has undergone rigorous reviews required for their sale around the world. The active ingredient in Mosi-guard Natural® insect repellent is Citriodiol. Citriodiol is the trade name for p-menthane 3.8 diol botanic oil (PMDRBO) which can also be called PMD. In the USA Citriodiol is registered and known as oil of lemon eucalyptus (OLE). 15. Can I use Mosi-guard Natural® if I am pregnant? 16. How can I be sure Mosi-guard Natural® will work? 17. Can I use Mosi-guard Natural® abroad? Mosi-guard Natural® is a regulated and proven plant based insect repellent with strong efficacy data that shows it is just as effective as synthetic insect repellents. Therefore, Mosi-guard Natural® can be used abroad. 18. Can I use Mosi-guard Natural® as an insect repellent for babies and children? There has been extensive experience with the use of Mosi-guard Natural® as an insect repellent for babies from 6 months onwards. There is less experience with very young babies. Many people choose to use Mosi-guard Natural® insect repellent for babies and young children because very little of the active ingredient is absorbed through the skin. As baby’s skin can be sensitive, we always suggest that you apply a little of the repellent to a patch of skin before making a full application. It is essential to protect babies if taking them into areas where Malaria and other diseases may be a risk. 19. How long does Mosi-guard Natural® last as an effective insect repellent? A study conducted at the London School of Hygiene and Tropical Medicine showed that Mosi-guard Natural® is effective for 11 hours against free-flying Mosquitoes when applied at normal consumer rates. In trials of this nature the subjects are inactive. Repellents may wear off more quickly if you are active or perspiring and should be reapplied more frequently. 20. What can I do to avoid these insect bites? Always find out the most up-to-date information on insects and diseases for your travel destination. Websites like Know Before You Go and the Hospital for Tropical Diseases provide such useful information. GPs and travel clinics can also offer valuable advice about the most effective preventative medication for your destination. However, it is important to note that no preventative medication offers 100% protection, so it is very important to avoid being bitten. Most mosquitoes bite between dusk and dawn. Avoid exposing your skin by wearing long sleeved shirts and trousers. Aedes mosquitoes which transmit dengue and yellow fever are mainly active during the day with their peak biting times shortly after sunrise and just before sunset. To avoid being bitten by these daytime biters avoid outdoor shady conditions and sleep under a mosquito net if you take a siesta. If your skin is exposed then it is important to use a safe and effective insect repellent on all areas of exposed skin. Mosquito nets provide very good protection especially when impregnated with the residual insecticide permethrin. Permethrin is poorly absorbed by the skin and has a low mammalian toxicity. There are a number of different styles of mosquito net and you should choose the one most suitable for where you are. Sleeping in a room with air-conditioning will discourage mosquitoes. Use a knockdown spray (any fly spray will do) to clear the room of mosquitoes. Plug-in insecticide vaporisers are very effective for overnight protection as long as the room is relatively free from draughts. The vaporisers consist of a heating pad onto which an insecticide soaked tablet is placed. The insecticide gradually vaporises throughout the night killing any mosquitoes that get into the room. If you are staying for long periods in areas where mosquitoes are a problem, then remember that they breed in stagnant water. Mosquitoes lay eggs in as little as a quarter inch of standing water. A good mosquito bite prevention method is to ensure mosquito breeding areas within 500 yards of your accommodation are regularly sprayed or eliminated. Midges are tiny swarming insects that are common in the Scottish Highlands during the summer months. Bites from midges do not transmit disease but can make life almost unbearable. Mosi-guard Natural® will help stop midges from biting but not from swarming around you. You can avoid midges with anti-midge hats, midge body suits and midge netting (smaller than mosquito nets) to cover tent entrances. Natural remedies include garlic, marmite, yeast tablets, sprigs of bog-myrtle or burning citronella. Tick bites spread lyme disease in the UK and abroad. There is currently no vaccine against lyme disease so you must be aware that areas with ground cover, foliage and diverse wildlife can pose a risk of ticks. To prevent tick bites use an insect repellent and keep covered up. Tucking your trouser legs into your socks will help. After being outside in tick prone areas be sure to check your body, pets and clothing for ticks. Carry a tick remover so you can quickly remove ticks and reduce the chance of disease transmission. Have you ever wondered what the benefits and disadvantages of using chemically based repellents are? Have you thought about Deet and perhaps compared it with a natural based insect repellent such as Mosi guard? Listed below is a comprehensive list of the major benefits of using Mosi Guard natural insect repellent, compared to the chemical based Deet insect repellent. Mosi guard natural insect repellent is 100% natural and is made from renewable resources. The main ingredient is Citriodiol which is a lemon eucalyptus oil. Insects such as mosquitoes, sandflies, midges, ticks and leeches find this eucalyptus oil distasteful, resulting in confused and disorientated insects. Mosi-guard natural insect repellent is recommended for adults, children and babies from 3 months of age and is suitable for both high risk and low risk geographical areas. It can be used for walking, hiking, treking, hunting, golfing, farming or fishing. You can also use it when at the beach, relaxing in the garden, or cycling, climbing or camping. Extensive research and tests have been carried out on insects in Tanzania, Malaysia, Bolivia – tests have even been conducted on the midges in Scotland, with positive results in every situation! Plus, the Mosi guard repellent is the only plant based repellent that is recognised as being effective by leading authorities. Mosi guard is actively supporting the BADA-UK (Borreliosis and Associated Diseases Awareness – UK) charity in promoting public awareness of Lyme disease and protection against tick bites. For every Mosi guard sold within the UK, a donation to BADA is made. For further information, check out the BADA-UK website – www.bada-uk.org. Deet insect repellent is a chemical based repellent made from coal tar. First introduced and used in the late 1940’s by the US Army, Deet (or Diethyl Toluamide) is used in high risk environments where there is a high number of malaria – carrying mosquitoes. There has always been some concerns over using chemically based Deet insect repellent on our health and equipment. Testing revealed that Deet insect repellent should be kept away from climbing ropes, watches, compasses, cameras, rucksacks and any sports equipment as it has an adverse affect on plastic. Plus, Deet can also make colours run on fabric.